You know that wall area above your kitchen counters and below your kitchen cabinets? 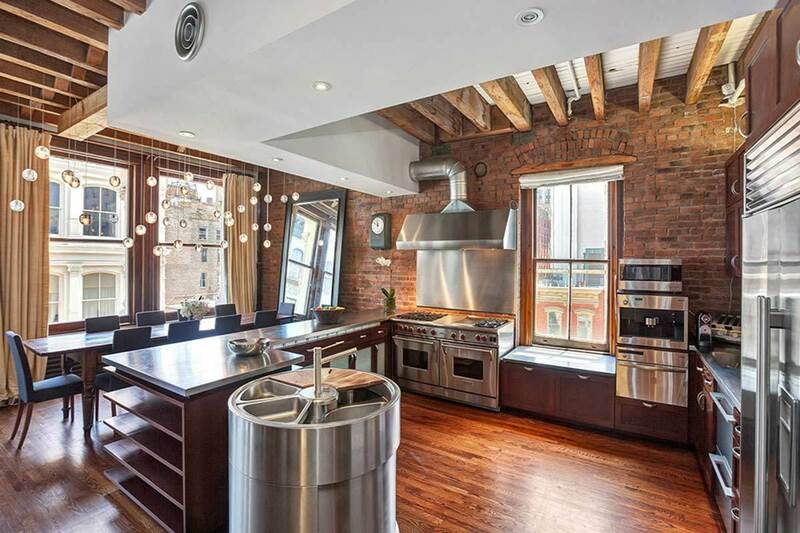 Or the dead vertical wallspace between your stove and the stovehood, or the sink and the kitchen window? That’s what’s called the backsplash, and it’s getting new attention from remodelers, designers and homebuilders. 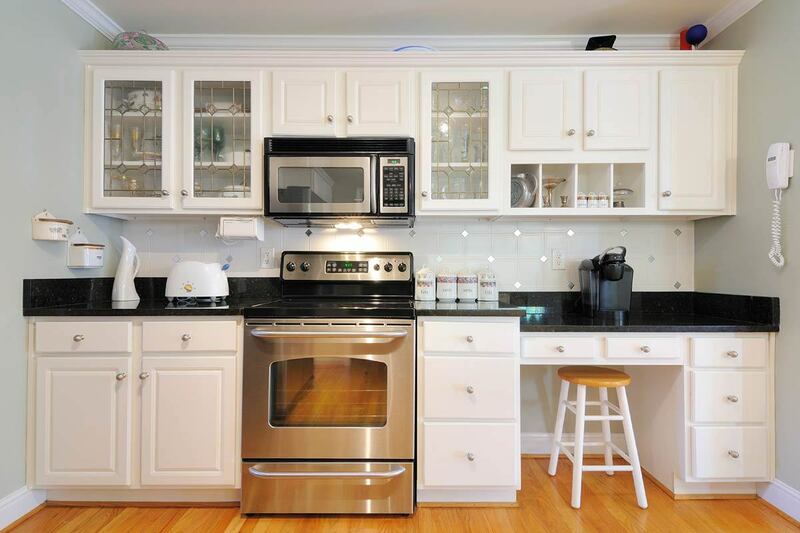 Normal kitchen backsplashes—a painted section of wallboard or drywall, or maybe a tiled area that matches the kitchen counters—are giving way to a whole new creative set of materials and treatments. From industrial to ultra-modern, from vintage to Victorian to Craftsman design, backsplashes have taken on a new life. Remember those pressed-tin metal ceiling tiles in old homes and industrial buildings? They have great metallic tones, from nickel to silver to copper, and terrific vintage designs, too. Designers have discovered that they make an arresting and functional backsplash, too. Some companies now make heavy injection-molded plastic versions of the original tin tiles in a wide variety of textures and colors. They’re easy to install, and look great with a variety of kitchen designs. Whether natural or cultured. Backsplashes look best with natural materials, and nothing looks more organic and natural than stone. Of course, these materials are just another kind of stone. With a smooth polished finish, they’re generally used for countertops. But they make a great backsplash, whether polished or left naturally raw. I like the look of a polished granite or marble countertop topped with a natural, unfinished version of the same stone as the backsplash, which give the kitchen an arresting sense of contrast. 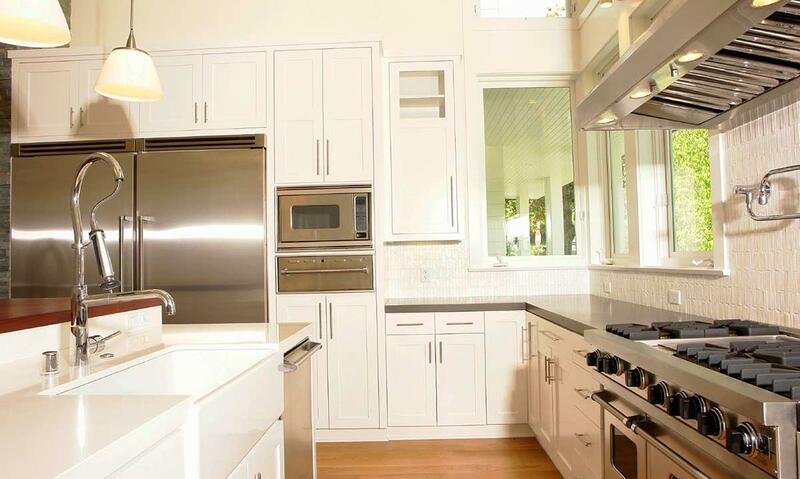 Especially in modern kitchens with stainless appliances, a simple sheet of stainless as a backsplash can look terrific. You can glue it to the wall with any number of high-tech adhesives for a smooth, uninterrupted surface; or you can mount it with stainless steel lag bolts for a more industrial feel. One of the most beautiful kitchens I’ve ever seen, in a Craftsman home in Pasadena, California, had gorgeous cherrywood cabinetry complemented by a mitered cherry backsplash. This treatment isn’t cheap, but if you have the resources, it’s gorgeous, warm and inviting. It can also make built-in, counter-level appliance garages a little easier to construct. A contrasting color of shiny glass tiles, with grout that matches the wall color in the rest of the kitchen, gives the backsplash a pop of color and life that other materials just don’t offer. Try a totally-unexpected color if you want eye-opening effect, or mix the mosaic colors in random patterns for an even bigger visual payoff. 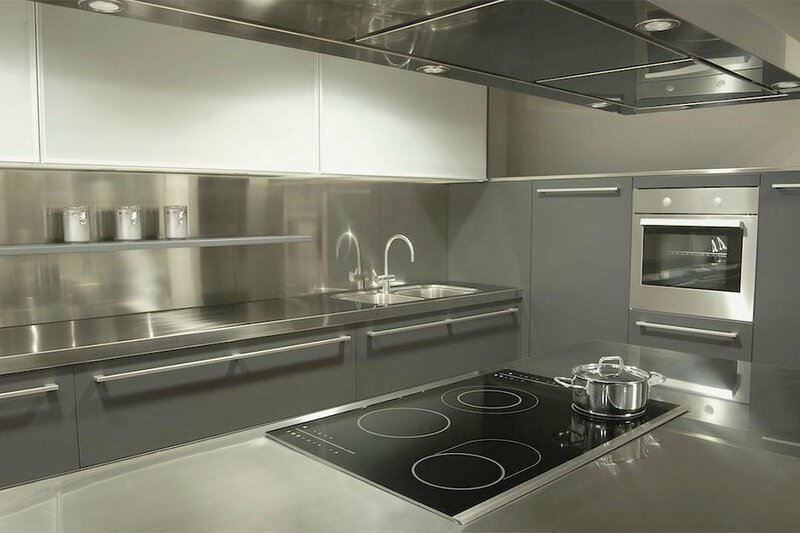 For ultra-modern kitchens, the variety of colors and the high reflectivity of sheet plexiglass can make for a beautifully reflective, almost mirrored surface treatment. When you’re designing or remodeling your kitchen, give some serious advance thought to your backsplash—it will personalize your space like no other element.